Advantys, a leading Business Process Management (BPM) vendor, has launched a new website for its flagship WorkflowGen process automation and integration solution. With a contemporary look and feel optimized for desktop, tablet and mobile devices, the redesigned site places a greater emphasis on WorkflowGen as an embeddable process automation solution for corporate users and IT providers alike, with more information on the product’s integration possibilities. 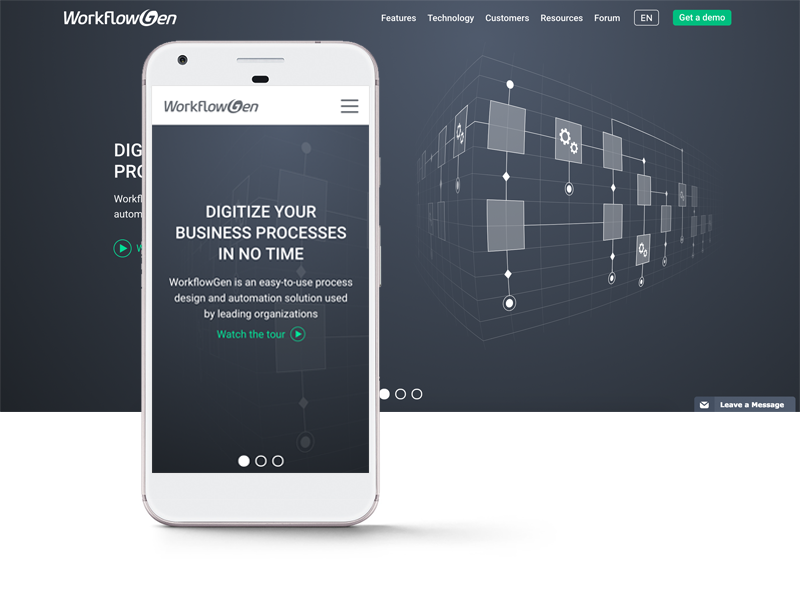 WorkflowGen’s powerful and innovative process automation technologies can be seamlessly and transparently integrated into company apps, portals, intranets and extranets. Thanks to cutting-edge features such as the GraphQL API and webhooks, WorkflowGen lets corporate users quickly automate business processes while leveraging their organizations’ existing software infrastructures. By delivering advanced solutions with a high level of configurability, developers and process designers can focus on process configuration and integration points thanks to advanced workflow features available out-of-the-box. The WorkflowGen Resource Center has also been revamped for greater visibility and accessibility of the most frequently used resources such as documentation and the knowledge base, and also features a new video on the basics of designing a process in WorkflowGen to help new users get familiar with the product. In the coming months, new e-learning courses will be introduced to make getting started with WorkflowGen even easier, and allow experienced users to get more out of the product. As well, a new React Native-based WorkflowGen mobile app will be released in the coming weeks, which will feature a redesigned interface with added functionalities for a better overall user experience. The WorkflowGen BPM software is developed by Advantys. Founded in 1995 by the current management team, Advantys specializes in the creation of information systems designed to simplify complex business communication exchanges. Advantys’ products have been deployed by thousands of customers worldwide to automate processes, publish websites, as well as collaborate and develop web applications. First released in 2003 by Advantys, WorkflowGen is an Enterprise Business Process Management software used by 500 clients in 70 countries, with over 1,000,000 users in production. Organizations of all sizes use WorkflowGen to quickly and easily deploy critical business applications while benefiting from an intuitive interface, the best cost/value ratio, maximum scalability and the latest integration technologies.